Ready to get started with a forum host? 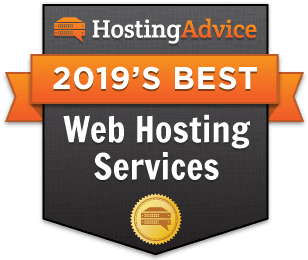 Our hosting experts have compiled the summary table below to give you a quick glance at all the best forum-friendly web hosting providers. As you review each host, take into consideration its price, features, and forum software it supports, as well as our expert ratings. Looking for something other than forum hosting? Get conversations going by launching your own online community forum — so let's talk forum hosts! Whether I’m looking for more information about my alma mater’s basketball team or why my freaking code isn’t working, community forums provide an immensely helpful and personal resource. I prefer lurking and reading rather than posting, but forums can help build a sense of community, drive tons of traffic, and create fresh, relevant content. Forum owners appreciate the ability to quickly answer reader questions, while visitors enjoy interacting with each other and providing inside information. To start a forum or message board, site owners need to find a hosting provider that delivers on lots of “-ilities:” affordability, usability, scalability, reliability, and flexibility. Luckily for you, we’ve tested the internet’s most popular free and paid forum software programs and paired them with the most effective hosts. What is a Forum Host? Because successful forums rely on solid site traffic to foster visitor interactions, you’ll want to select a host with a relatively high threshold for bandwidth and memory. As your forum grows in popularity, hot topics could further spike your traffic and boost your computing needs even more. That probably means skipping over the bargain-basement hosts in favor of those that offer supercharged shared hosting plans with the ability to quickly upgrade to a virtual private server if needed. That being said, several affordable options abound — it’s all about finding top-notch services and support for a reasonable rate. The best forum hosts offer optimized installations of the top message board programs. Most hosts enable users to download and configure the community forums with just one click, similar to the streamlined process for adding content management systems or eCommerce software. You’ll also want to consider how much support or flexibility you require with templates, user management settings, localization, and SEO tools. Regardless of which forum software you choose, the chosen program should provide simple navigability and an attractive design at a price you want to pay (or not). Keep reading as we pair each platform with the hosting provider that offers the most impact. Short for PHP Bulletin Board, phpBB is among the oldest open-source forum software projects. The community launched phpBB in 2000 and has continued to develop moderation capabilities, AJAX functionality, and command line interface support. Being an open-source program, phpBB is free and includes a robust extension system and third-party authentication. HostGator, our favorite host to grow with, tabbed phpBB as the company’s go-to option for forum hosting. The company boasts an extremely intuitive installation process, unmetered bandwidth, new email marketing tools, and supreme affordability. In addition to offering free transfers of existing phpBB sites, HostGator includes a 99.9% uptime guarantee backed by the CEO himself. Another open-source option, MyBB is a simple and intuitive platform that offers powerful moderation and administration features with an extensive range of plugins and a built-in theme editor. The program, written in PHP, supports MySQL, PostgreSQL, and SQLite databases, in addition to database failover support. A2 Hosting offers among the most diverse portfolio of forum hosting programs, but we particularly appreciate the work the company has done to optimize its infrastructure. All servers are equipped with unlimited storage and data transfer capabilities, along with SSL certificates and solid-state drives. Upgraded Turbo server configurations boost already impressive speeds to 20 times faster. A no-brainer pick for WordPress enthusiasts, bbPress is a platform developed with PHP and MySQL by the creators of the ultra-popular content management system. As with all things WordPress, usability and performance are key focuses of bbPress, which comes with the familiar integrated administrative dashboard, multisite support, and Akismet spam protection. Serving more than 40,000 online communities, vBulletin is one of the most popular paid forum services. Licenses range from $180 to $360 per year for a cloud-hosted version with managed and scalable infrastructure or an installable software suite that also includes blogging and poll functionality. The vBulletin Mobile Suite includes native iOS and Android apps for optimized mobile user experiences. If you’re willing to invest in a premium message board program, SiteGround is your best bet for top-tier service and support. Once you purchase a vBulletin license, SiteGround will help you install or transfer your forums for free. In addition to free daily backups, the company includes multiple server locations and a free content delivery network to make sure your community can interact in real time. Simple Machines Forum takes us back to the open-source realm with the nonprofit-owned program built to require minimal server resources and accommodate various levels of technical expertise. SMF, however, isn’t watered down in the slightest: the platform features a unique server side includes (SSI) function to seamlessly integrate forums into your website. In addition to the company’s high-performing servers, A2 Hosting makes forum hosting easy for site owners with not only a one-click installation but automatic email notifications when new SMF versions become available, as well. The ultra-simple update process ensures users are enjoying the latest features and most secure settings. Social media networks and blogs tend to get all the glory when it comes to communicating on the web, but message boards are a top-notch way to bring together like-minded people to solve problems, share information, and discuss subjects about which they’re passionate. With our list of popular online forum software programs and the best hosting providers around, creating an online community should be an incredibly easy and rewarding task. Start the conversation by engaging users in a modern, well-supported forum environment.